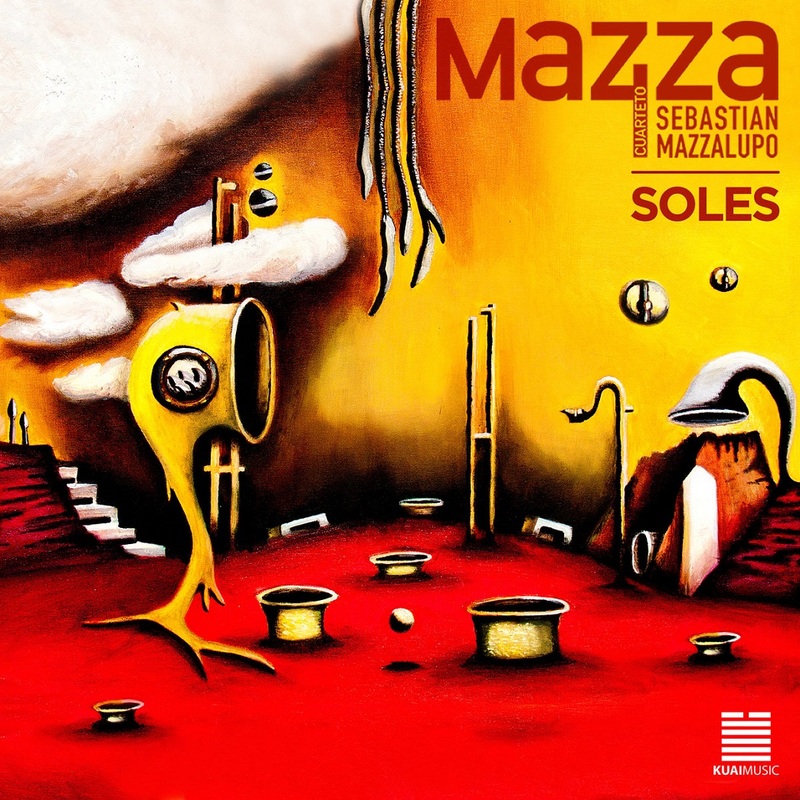 This record pays tribute to the great composer Jorge López Ruíz and is based on his album “Bronca Buenos Aires” (1969). Jazmín Prodan, Andrés Elstein, Damien Poots and Juan Bayón have written it collaboratively. 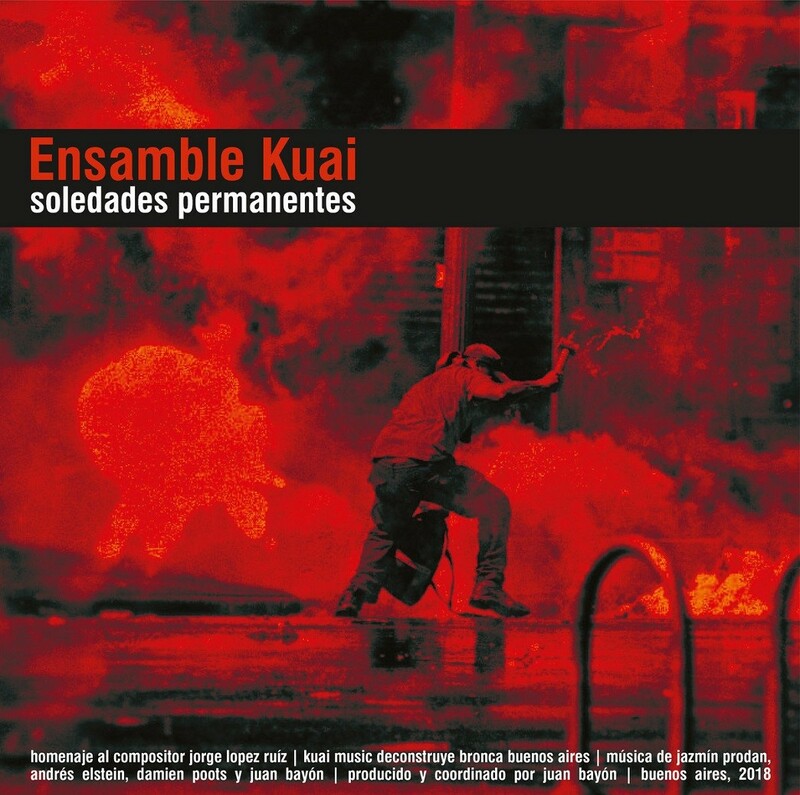 Each movement of “Soledades Permanentes” is a very intimate reinterpretation of López Ruíz’s pieces, and though these four young composers pay respect to the mood of its original release, the sound and spirit of Kuai Music is still there. Produced and coordinated by Juan Bayón. 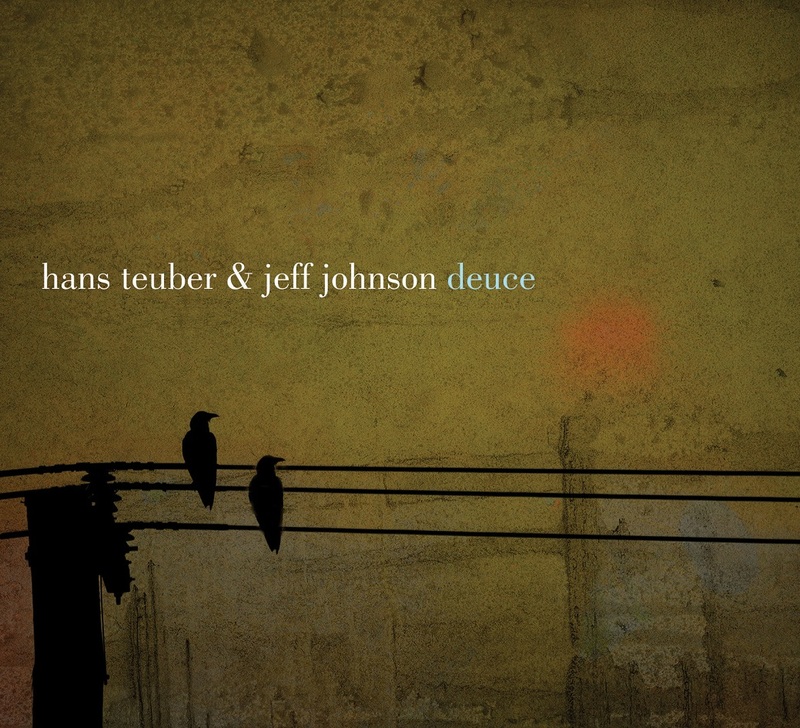 "Jeff Johnson plays with a mystique that takes the music out of the ordinary with his inventive improvised lines..."
Saxophonist Hans Teuber and bassist Jeff Johnson began their musical association in 1990 when their paths intersected in Seattle. Both had recently arrived and they soon discovered the chemistry between them was substantial and uncanny. 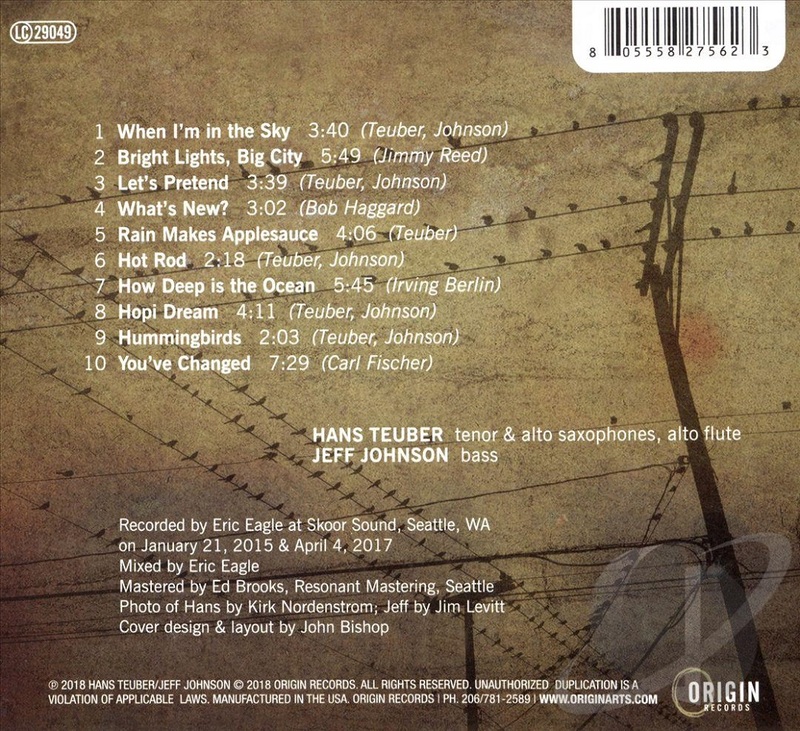 Performing together on all five of Johnson's recordings on Origin Records and on hundreds of performances, recordings and concerts over the last 25 years, their musical collaboration is highly intuitive and empathetic. Both diligently mentored in their teens by veteran jazz musicians, while simultaneously playing in a wide variety of musical situations, they each bring a rich palette of influences to their performances. From free improvisations to jazz standards, it's all touched upon here somewhere, in the moment, completely natural, conversational and without pretension. "Rathbun's lines dance and glide, reflecting both childlike wonder and well-honed artistry." An ambitious, multi-faceted composer, saxophonist and bandleader, Andrew Rathbun had used poetry as an inspirational catalyst for several recordings over the last 20 years. 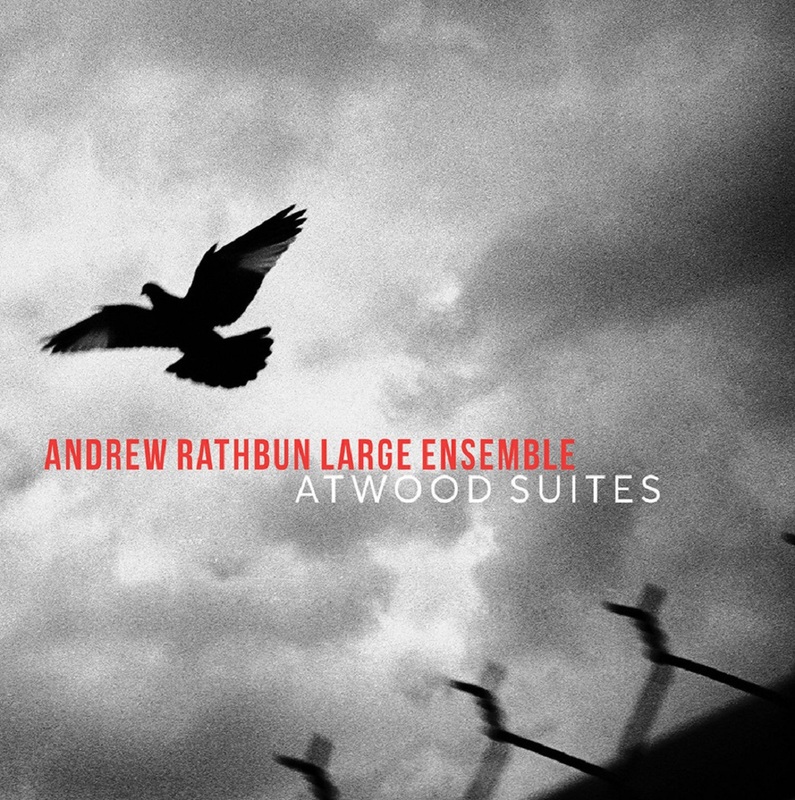 Particularly enamored by the works of famed novelist Margaret Atwood, Rathbun composed three suites for large ensemble featuring her poems and the unique voices of trumpeter Tim Hagans, drummer Bill Stewart and vocalists Luciana Souza and Aubrey Johnson, who vividly capture the imagery and emotions of Atwood's poetry. Rathbun's rich, multi-textured compositions and his use of the large ensemble as his musical voice was largely influenced by collaborations with the late, and legendary, trumpeter/composer Kenny Wheeler in the early 2000s. Wheeler's supple, dark tones floating over the group and Luciano Souza's voice bringing to life Atwood's poetry inspired Rathbun to more deeply explore these concepts.